As the world’s largest food retailer, we have an opportunity and responsibility to deliver on this key necessity of life. We believe, every family should have access to affordable, safe, nutritious, food, but for too many Canadian families, this simply is not a reality. Together with our partners across the country, we are committed to making a real difference in relieving hunger in our communities. In Canada, Walmart stores have donated more than 11 million pounds of food to food banks across the country through our comprehensive food diversion program. This program pairs Walmart Canada stores with a local food bank and ensures good food is donated to those who need it most. Globally, Walmart donates one billion pounds of food in North America each year. Second Harvest, a food recovery organization also receives food donations from our Perishable Distribution Centre in Mississauga with pick-ups occurring multiple times per week. In addition to food donations Walmart Canada has donated over $2.1 million since 2011 to Food Banks Canada and the Walmart Foundation has donated more than $2 million to build capacity in Food Banks Canada and Canadian food recovery networks including Second Harvest and Quest Food Recovery – meaning more trucks, more refrigerators and more people to get this food to those who need it most. This increased capacity offers local food banks the ability to accept more food from donors, be it from Walmart or any other organization including other retailers that has good food to donate. These grants are the first step in a multi-year, multi-million dollar commitment to strengthen food security in Canada. We are deeply committed to supporting hunger relief in Canada and know children are especially vulnerable when food insecurity exists. Research has shown that a healthy breakfast to start a child’s day is crucial in ensuring they are able to thrive, learn and flourish. Unfortunately, many children in Canada arrive at school hungry and are unable to function at their full potential as a result. 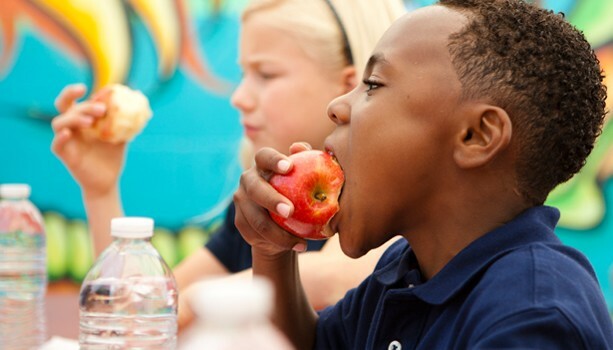 Breakfast Club of Canada programs ensure children in Canada have access to breakfast, feeding 167,000 students every day in 1,455 schools across the country. Over the past 15 years, Walmart Canada has been a proud partner of Breakfast Club of Canada programs and has donated and raised more than $34 million to this commendable organization. If you're an organization that supports hunger relief in your local community and need Walmart's support, please click here to apply for Walmart's $1,000 Community Grant program.